Attacks on US soil forever alter our physical and political landscape. No more guns. No more Internet. Everything east of LA reduced to ash. A mysterious woman. Her kidnapped husband. The Outland Empire. In a world lost to terror, one man has taken it upon himself to find the truth. 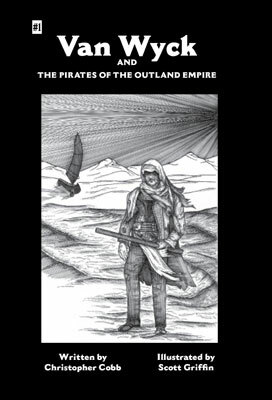 Van Wyck and the Pirates of the Outland Empire is the first issue in a five-part detective/sci-fi miniseries. Buy it now!